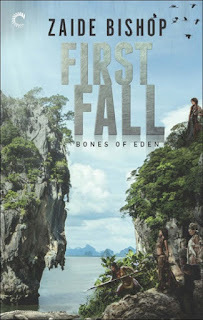 In this second installment of the Bones of Eden series, a new enemy threatens a fragile union. Peace has come to the Elikai and the Varekai, to man and woman, and to the tribe leaders. United as one. For now. Gone is the hope of a world beyond Eden, but gone too is the threat of war that once divided them. The new world brings the promise of family, and happiness they've only dreamed of. But when the force of nature bears down and the safety of the tribes is at risk, alliances shift yet again. With food running short in the face of a coming monsoon, the Varekai leader must make a decision. One that could shatter their newfound harmony. For those who do survive, desperation could inflame the embers of an old war. The Bones of Eden series concludes with Third Wave. 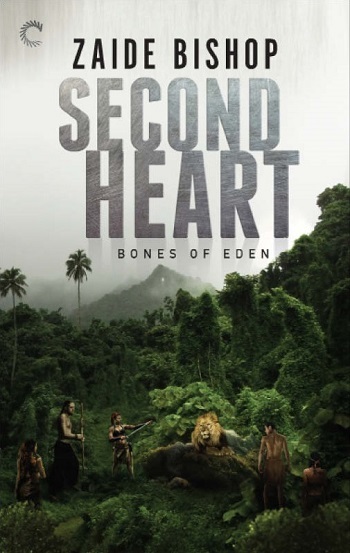 Second Heart is the second installment in the Bones of Eden trilogy, and cannot be read as a standalone. I would strongly suggest against reading individual books or out of order. In the continuation, the stormy season is upon the refugees from Eden, and they must learn to work together. With ignorance and past biases, it's with great difficulty, causing many issues as they struggle to survive without enough food to feed them all. I was intrigued with the world Zaide Bishop created. Most of the time, it feels like I'm picking up book after book of the same, where every book either has a similar theme or leaves me feeling as if I've read the entire storyline before. That is not the case with the Bones of Eden series. Innovated and fresh, I had no idea what was going to happen next. It's hard to believe but this installment was more savage, more thrilling, as the reader learned the genesis of Eden right along with the characters. There was no endless inner monologue-ing, or info-dumpage, as the necessary information was slowly delivered in a fast-paced read, as the characters discovered who they are, how they began, and how to survive with the knowledge. I don't wish to ruin the story by giving out spoilers, so I won't highlight a specific thread, as it shocked me, and I respect the author and the readers enough not to spoil it for them. As I said, this installment was a bit more savage, with prehistoric animals, remnants of the world we know today, and the flex of the human condition. Human nature is what Bones of Eden is most certainly about. How, no matter what conditioning we receive, what knowledge we learn, it's unavoidable how we will react and adapt. For reviews & more info, check out our First Fall post. Born in 1985, Zaide is an Australian writer who spends an unhealthy amount of time reading and watching horror movies. She also loves cats and aquariums, and lives in a house dominated by both. When she isn’t writing, Zaide is studying psychology, with a particular interest in the sociological effects of the internet on interpersonal communications, learning and information processing. Zaide’s other interests include cooking, rock climbing, lithops, web design, photography and video gaming. 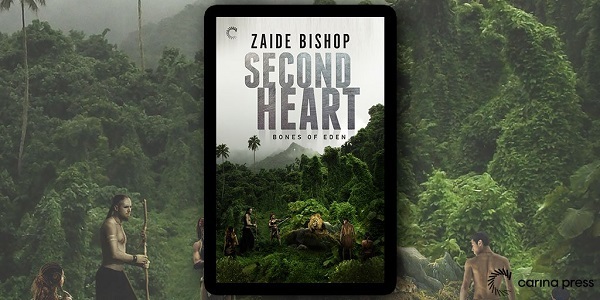 Reviewers on the Wicked Reads Review Team were provided a free copy of Second Heart (Bones of Eden #2) by Zaide Bishop to read and review.